Residential and commercial Boston movers for 50+ years. 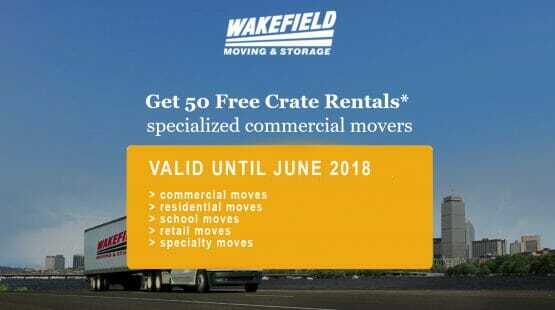 Wakefield Moving and Storage has the knowledge and experience necessary to perform relocations of all scopes. Our Boston movers can offer local, long distance and international relocation services for your home, your business, or any other specialized moving services. The personal move coordinators at Wakefield will work with you to plan the relocation that best suits you and your budget. Our moving staff can help you with everything from helping you and your HR staff develop a plan that will minimize downtime during an office move to creating and implementing moving processes for specialized items.